For the last 10 days, I have been on easy street. Floating on a cloud. My photography life expertly hacked. 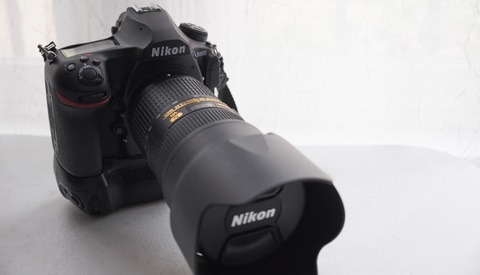 Thanks to a Facebook video, my single biggest frustration with my Nikon D750s has been alleviated. 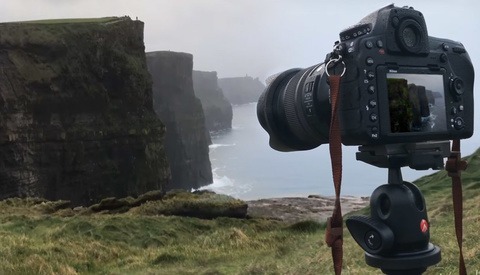 Because of the heroic actions of a savvy member of the MagMod community Facebook group, my D750 eyecup hasn’t found its way to the bottom of my bag or vanished in the streets, trails, and unbeaten paths that my job would often have me travel. Arizona-base photographer Jason Marino, also perturbed with constantly replacing D750 eyecups, discovered the solution to keeping those little suckers in place. It was this constant fumbling with gaffers tape that we’ve all done so many times that led Marino to a streamlined solution. 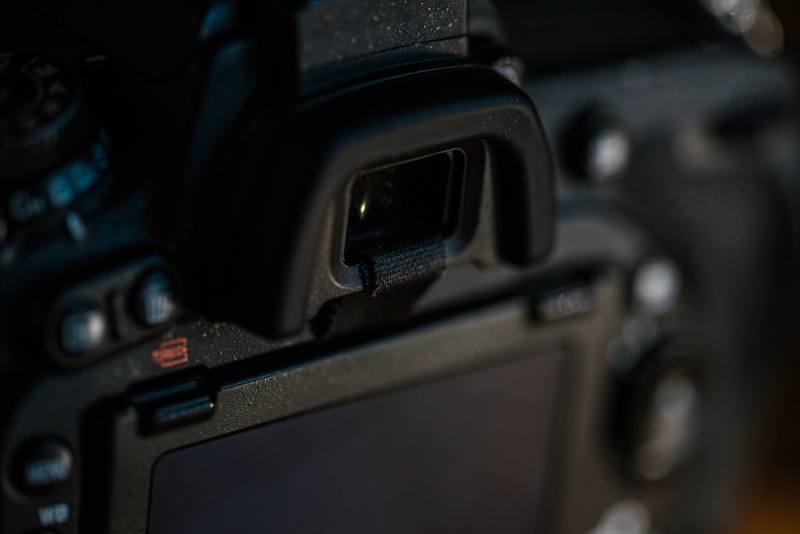 Marino took advantage of the D750’s tilting screen by wrapping a thin piece of tape around the lower, unpadded edge of the eyecup several times and attaching the remaining lead to the flat space behind the retracted screen. A think strip of gaffer taper will easily wrap three or four times around the bottom of you replacement eyecup. I recently sat down on my sofa, camera in hand, and studied the parts. After about two minutes an idea struck me, and here we are, as perfect as possible. The tape holds the eye cup in place perfectly and I've not lost one since. 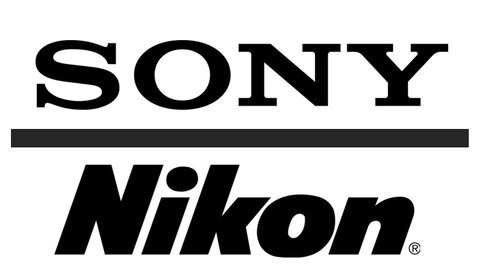 Now if only Nikon would do something so we don't have to rig them up! Marino quickly shared a video of the hack in action in a Facebook group shared by MagMod users. 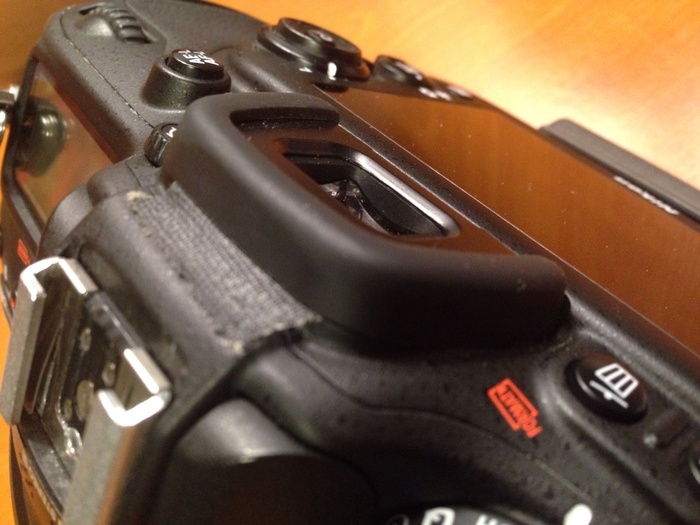 This prompted me to abandon my cup-less cameras and tape on two new eyecups. 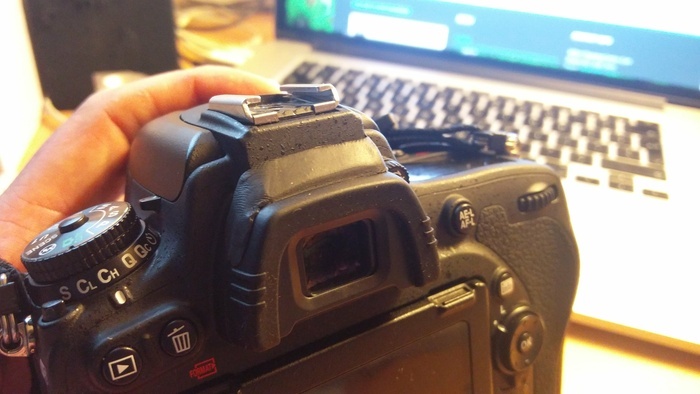 I’m happy to announce, that after nearly two weeks, I’ve yet to lose an eyecup. This a feat that I’d never thought would possible. The hair-pulling frustration of never having an eyecup seems to be over for now! 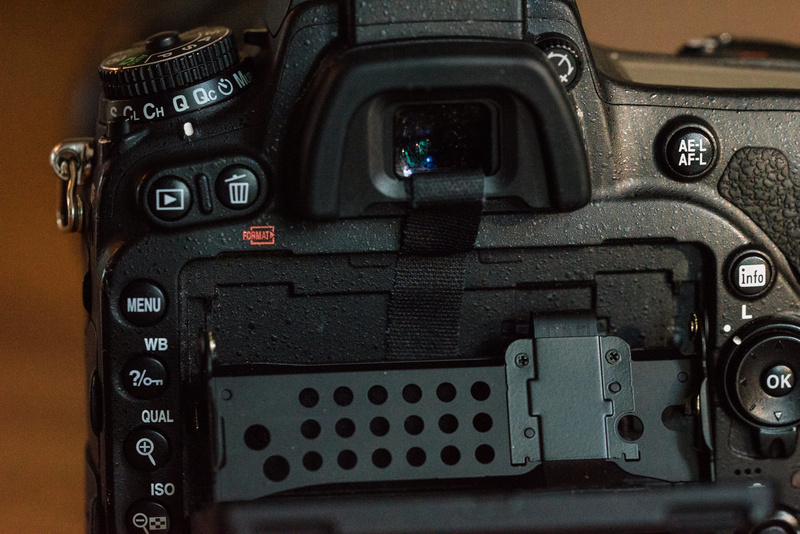 Leaving a small lead to stick behind the D750 LCD will act as an anchor for your eyecup. A gaffer tape hack might still be a sore replacement for parts that actually stay in place, but my workhorse D750s certainly needed the TLC. 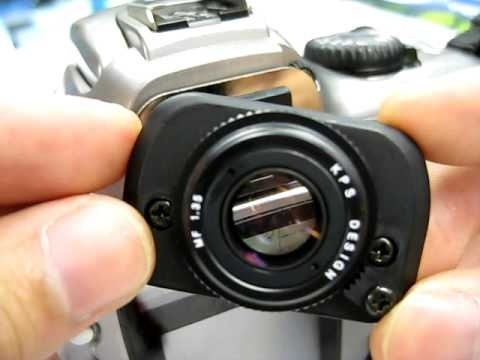 Do any of you have a camera hack that has made your day? Let us know below. Check out Jason Marino's work here. Yes indeed, double stick is the way to go. I use it on all my eyecups. Trying this TODAY! Ugh. I love Nikon's bodies. But this was just ridiculous. Glad to finally have a somewhat okay solution. Yeah, it isn't elegant, but it works! I have this same problem and what I don't understand is why Nikon has changed the design at all from previous models. I've had D200s, D300s and D300s, D7200, D700, yada yada and none of them had this problem at all. 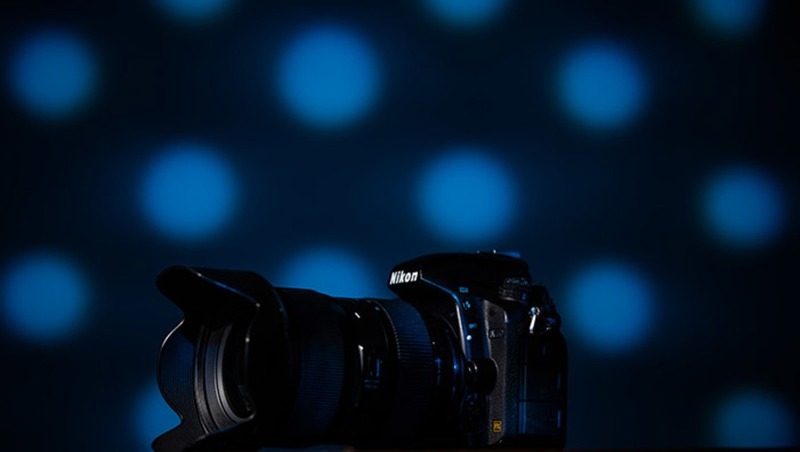 The only camera to have this eye piece problem is the D750. 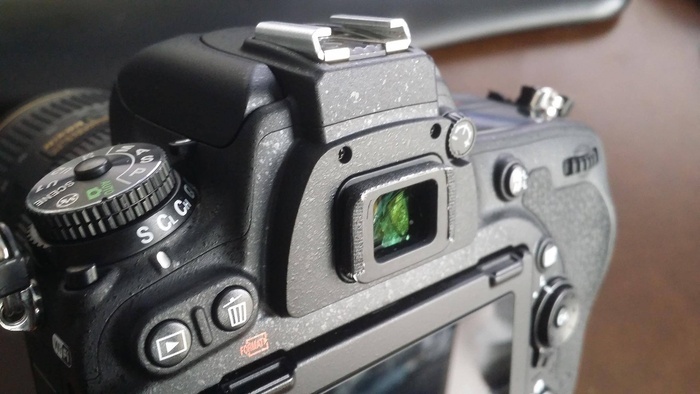 D7000, D7100, D6x0 all have the same problem with the eyecup. A little tab of gaff tape between the bottom of the hotshoe and the top of the eyepiece underneath of the rubber eye cup adds enough friction and shim so that it fits tight and stays put. Oh that viewfinder issue. The best solution I've end up with is to get this korean made viewfinder magnifier, KPS 1.3 Viewfinder, it's actually amazing. Though the it is really hard to find back then, I can't imagine how rare it is today. That looks interesting, but is apparently no longer available. All the other magnifiers I've seen are ungainly oversized and vignette like hell. Aha! I have this problem with my Sony a6000. Thanks, I think this solution will work there, too! After losing my first couple of eye-pieces I added a small blob of Blu-Tack to the rim of the body and slid my new eye-piece back in snugly and haven't lost one since, and it's not visible. The very same, I used it as a temp fix but 3 months later and still using the same eyepiece. Good idea. I just ordered some Loctite Fun-Tak for the D750 eyepiece. Little drop of superglue works wonders. I lost my eye cap so a bought a better eye cap from hoodman that fits on very tight. No need for tape. Life changing? Hmmm click baiting at its best! Was hoping for something more interesting..
Just glue it with a tiny dab of super glue - you can break it apart later if need be but you won't need to. Now if only I could find an eye cup replacement that has a blinder built in like the D810. There is this magical stuff called Sugru (Irish word for 'Play'–https://sugru.com/) which is essentially mouldable glue that works wonders. You mould it in to place like PlayDoh and it bonds to the rubber eyecup and camera body and hardens. And, its available in black so it doesn't look stupid...like the blu tack I used to use looked...my eyebrows have only just grown back!! I dunno, I lost the eyepiece to my D600 some time back. Don't miss it. Actually, I had this exact same problem with mine. I've found the best fix is to purchase the older replacement (the DkK-21 I believe, its the ones without the three little ridges on either side and is much thinner in profile.) It fits a lot more snug and I've yet to lose one. I lost my camera's eye cup a couple years ago. I really haven't missed it. I also shoot with a random assortment of d200s (they're almost phased out but every now and then we still get one), d300s and d7000s for a sports photography company I shoot for and honestly most of their cameras don't have eye cups. I feel like it makes my camera look more pro. You know battle scars and all. 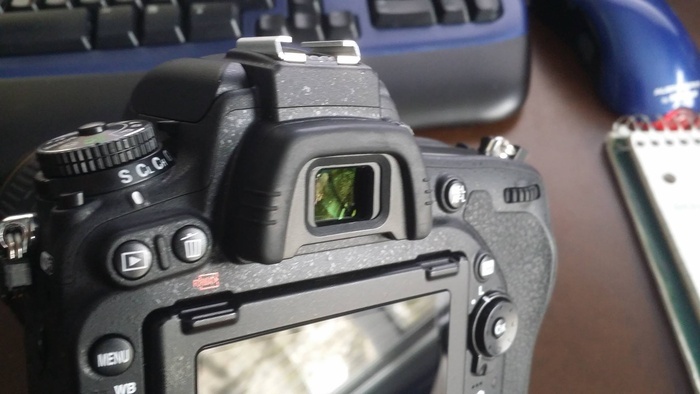 I feel like eye cups are somewhat like that little plastic thingy that covers your screen when you buy a new camera, you lose them almost immediately and then wonder why you needed them in the first place. Here is my solution. Wrapped gaffer's tape around the viewfinder then put the eyepiece back on. It has been rock solid ever since. No signs of the tape. I have yet to lose (or have one fall off) any eyecup from any camera I've owned (including 3-D750's) so I feel it's a photographer issue moreso and not a camera issue. Dustin is clearly a filth liar with trust issues! 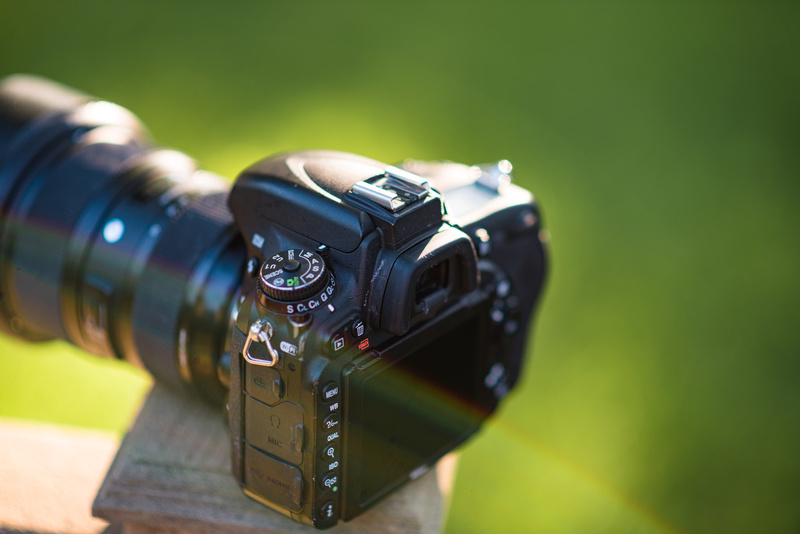 What are you shooting in live view exclusively? !